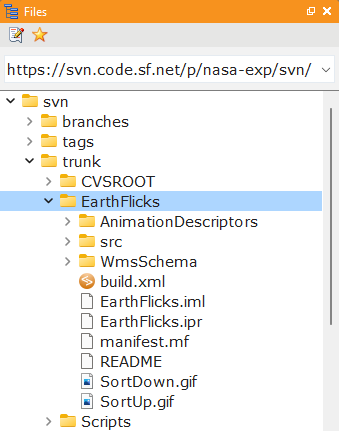 Click View > Files to show and focus the Files view. The Files view makes it easy for you to open files into XMLBlueprint. Enter a path or URL and press ENTER to connect to the remote server. You may also enter the name of a Server. To open a file, select the file you want to open and double click the file or drag and drop the file on the editors pane.